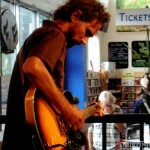 We’re definitely glad to know that Cactus Cafe will still be around for some time, as they continue to bring us little treats, like Saturday’s show, featuring none other than Will Johnson. 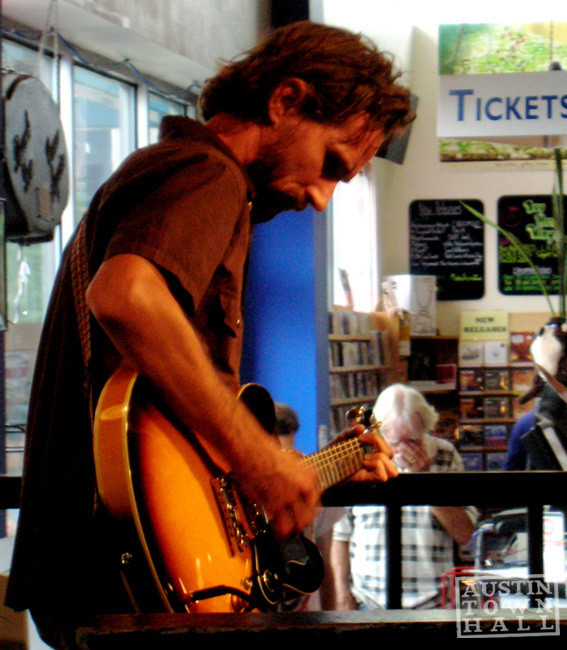 Dude wrote great songs for Centro-matic and his own solo-stuff, a bit with Jason Molina, not to mention playing drums for Monsters of Folk for a bit, at least on tour. Us guys here? We love him, everything he does. You can guarantee we’ll be there. You can also catch Some Say Leland opening up. So every year ACL festival has a few tough choices to make when they schedule two really great bands playing at exactly the same time. Typically we’re stuck with making a choice between two bands, but this year we have been faced with a choice between FOUR great bands. The first thing that came to mind when I saw the ACL schedule was this huge conflict between these four heavy hitters on Saturday. So let’s see what we have here… First up for consideration is a performance from incredible gypsy-punk band and awesome live group Gogol Bordello beginning at 6:30 on the AMD stage. 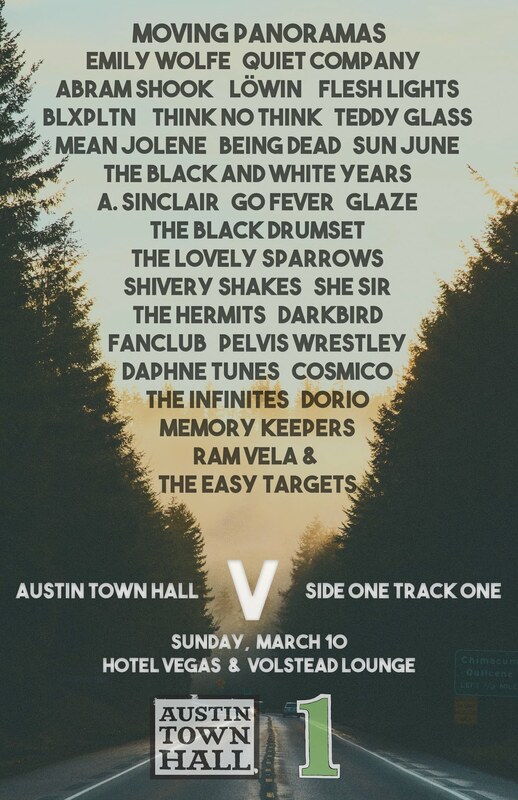 Then you have the option of stopping by the Austin Ventures stage at 6:00 for the two hour long Monsters of Folk show. Or maybe you fancy a solid veteran songwriter in the form of David Bazan beginning at 6:40 on the BMI stage. Last but not least, you can check out great live performers LCD Soundsystem on the Budweiser stage at 6:30. So what’s it gonna be? Some are saying you could maybe check out a few songs from each? Maybe you want to check out a bit of one and then slide over to catch the end of the Monsters of Folk set? I personally don’t like a lot of migrating during sets so I want to make a choice and stick with it. I’m honestly still torn on this one… You guys have any insight? Let’s face it, rarely do collaborations with bands you love to death ever truly work out. Sure, Queen and Bowie pulled off a song, but could they pull off an entire album? I doubt it. Now, we’ve been presented with Conor Oberst, M. Ward, and Jim James, along with Mike Mogis, joining together as Monsters of Folk. Could these boys rise above the hype and fulfill our dreams? First off, I’m not sure where to begin with Jim James vocals as of late. Sure, he definitely has a bit of range that I didn’t expect, but it’s not nearly as warm as it once was, especially if you listen to the album opener “Dear God.” He just sort of lost me after Z, so it’s hard to get into his vocals on this album. Conor Oberst, of late, has let me down. I once swore by his name, and bought every little bit of music he put his hands on, especially when Mike Mogis was at the helm. Still, his work with the Mystic Valley Band has taken a turn for something that I just really get behind at all. You’ll find that a lot of the tunes on this record sort of seem like they branch off of the ideas he’s been throwing at us lately. “Temazcal” appears to be a left over from his time in Mexico, and it’s one of the stronger tracks on this album, as it features minimal input from the others. Sorry Conor, but your strengths lie when you leave the band behind you. I mean I know it’s not about record sales, but have you noticed sales dropping since you did that whole double album thing? To be frank, M. Ward seems to be the only one here who has sort of won me over lately with Hold Time. His guitar stylings and delivery are definitely consistent on this album, especially when you look at songs like “Baby Boomer.” This easily could have been on any of his last few recordings, except when Conor Oberst interjects during sparse moments. 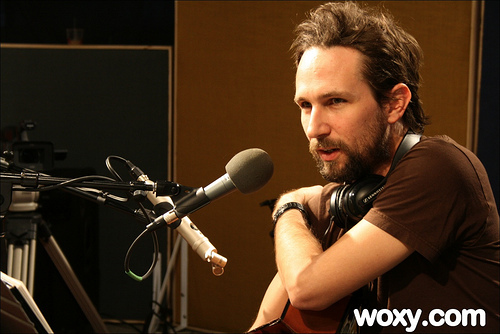 You have to love the warmth of Ward, and the controlled warble of Oberst does provide a decent counter-point. His trademark sound is all over this album, but since he doesn’t get to give it the full go, it doesn’t quite have the same impact as you think it should. As you can see, there are obviously great musicians all over this album, which is precisely why there are going to be some pretty decent moments on this album. You can’t have two great songwriters, and Jim James, put together in a room to come up with just random slop. But, the album doesn’t really connect the way that you want it to in the end. A lot of the sounds showcase the recent missteps of the various authors, instead of allowing for their individual talents to open up and rise above the group. For me, it seems as if they are all huddled to close together, not allowing each other the necessary breathing room to push each other as you would hope that they would do. If they aren’t going to push one another, why not just write songs for each other to share? I think the outcome there might have been more effective. In the end, you’ll listen to this record a few times, find your favorite tunes, and then put it away. Just saw over on the Pitchfork that the huge Monsters of Folk collaboration now has a release date and a first single. If you weren’t already aware, the star studded project involves M. Ward, Jim James from My Morning Jacket, Conor Oberst from Bright Eyes, and producer Mike Mogis. The band plans to release their self-titled debut September 15th via Shangri-La Records. For now, here’s the first material from the project “Say Please”. Dig.